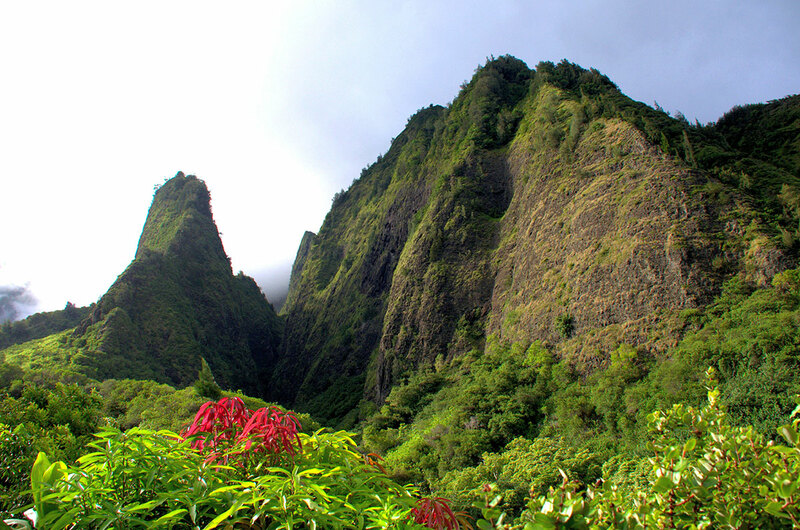 Iao Valley is a lush, stream-cut valley in West Maui, Hawaii, located 5 kilometres west of Wailuku. Because of its natural environment and history, it has become a tourist location. It was designated a National Natural Landmark in 1972.